Buying a home is the largest purchase most people are likely to make and taking out a mortgage can be the biggest financial commitment of their life. It is important therefore that professional advice is taken at all stages of the house purchase process. We provide qualified and independent mortgage advice that can help you decide whether a repayment or interest-only mortgage is most suitable and whether your interest rate should be fixed or variable. We will assess how much you can afford to spend and therefore the maximum amount you should consider borrowing. The amount of deposit you can provide is important as the higher the percentage of the purchase price, the lower the interest rate you will likely be offered. Other costs will include valuation fees, arrangement fees, legal fees and early repayment fees. We also provide advice and arrange mortgages for those purchasing investment properties both as a single investment and as part of a portfolio of properties. Your home may be repossessed if you do not keep up the repayments on a loan or other mortgage secured on it. 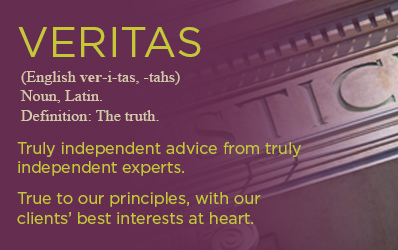 Veritas Independent Financial Advice Limited is an appointed representative of LJ Financial Planning Limited which is authorised and regulated by the Financial Conduct Authority.